Explore contemporary wildlife conservation and drone applications on this MSc at LJMU. Learn from world-leading experts and take part in an overseas field trip. * The air fare, site accommodation and site costs are paid by LJMU. You will need to fund other potential costs including field clothing, visas and immunisations (if required). Wildlife conservation is an exciting field of study that has important implications for the way in which we manage our world. With an increasing global population, conserving our wildlife becomes more complicated and conservationists are increasingly using technology such as UAVs to help them with their efforts. This Masters will provide you with advanced skills in using drone technology for wildlife conservation research and will give you the specialist skills to maintain and operate drone technology as well as using sensors to obtain and analyse data. A postgraduate degree is highly recommended for a career in this area so that you can demonstrate the necessary theoretical background and practical skills to work in the field. LJMU boasts world-class teaching and laboratory facilities (including state-of the art drone technology, genetics and GIS facilities) which you will be able to use during the course. You will also have 24 hour computer access and access to specialist software. In addition, the LJMU library has an extensive collection of online and hard copy book, journal and internet resources related to studying Wildlife Conservation. Your lectures and seminars will be delivered by world experts in the field of wildlife conservation and drone applications. The quality of research and teaching during the course mean that you will graduate with cutting edge knowledge and access to a host of international professional networks. The Research Centre in Evolutionary Anthropology and Palaeoecology (RCEAP) conducts research at the frontiers of biological anthropology, catalysed by discovery-oriented field research. The Drone Research Group comprises experts in the design, development and use of drone systems for a wide array of scientific applications. 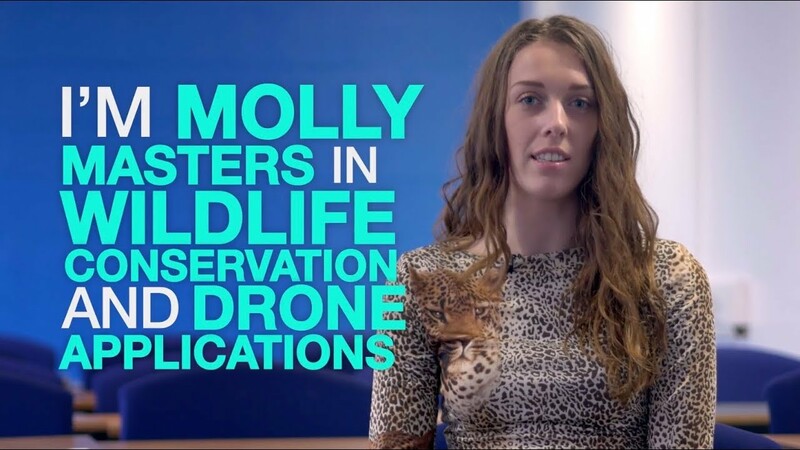 With a first degree in Wildlife Conservation, Molly Frost decided to take the next step and study for her Masters in Wildlife Conservation and UAV Technology. As a graduate from the programme you will be able to pursue a career working for national or international wildlife conservation NGOs, national or international environmental consultancy companies, and environmental government bodies. The course is also excellent preparation for conservation research and academia. Staff involved in the course have a wide range of international and national connections that can provide exciting opportunities for students during and after the programme. Your programme is made up of a number of core modules and a dissertation. The academic staff leading this course conduct research in this area. Your programme leaders uphold a wide range of international and national connections that can provide exciting opportunities for you during and after the course. You will have the opportunity to conduct fieldwork at international sites and make career-long connections. We will also encourage you to become members of the learned societies, such as Society of Wildlife Conservation. This module will give you a thorough understanding of research design, especially in the application of important tools and methods for data collection of wild animals. It aims to: help you understand and apply theoretical, practical, and analytical skills in primatological or other wildlife fieldwork; provide particular emphasis on how to census animals using line transects and build digital data-collection tools using open-access software; enable you to map the spatial distribution of findings for spatial analyses, present findings in a professional context, and employ these techniques in a field setting. * Includes an overseas field trip to Tanzania, which is included in your course fees. This is a fantastic opportunity to observe primates in the wild. You will practice and develop advanced skills in behavioural observation and conservation monitoring. The field trip air fare, site accommodation and site costs are paid by Liverpool John Moores University. You will be required to meet other potential costs, such as field clothing, visas and immunisations if required. This module provides a comprehensive overview of drone technology at a conceptual and practical level. Special emphasis is placed on being able to specify, select, install and deploy sub-systems to fulfil the requirements of an application. This module will give you a thorough understanding of the major themes in wildlife conservation. It enables you to critically evaluate published work and the practical skills to design and conduct your own research. You will have a number of hours per module per week of taught material and/or laboratory work. The majority of teaching will take place on Tuesdays, Wednesdays and Thursdays, however the days/number of hours taught will vary week to week. Private study will cover both time spent studying at home or in the library, analysing data and completing directed tasks and coursework. Taught sessions will provide an orientation to the topic and opportunity for classroom discussion and debate. You will be expected to read widely using primary sources of reference material. There is a strong emphasis on practice-based learning through lectures, seminars, workshops, student-lead discussion groups and fieldwork. Self-guided study is also a key requirement at MSc level. During your studies you will develop an hypotheses-driven study based on the latest wildlife conservation literature. Converting your idea for a study into a practical plan will involve: learning how to write a grant proposal (from funding experts); creating a budget and thinking through the logistical issues of conducting research in challenging environments. You will learn how to operate drone technology for wildlife conservation research and how to analyse the data obtained using these systems; providing you with a unique skillset. Assessment methods on this course include: written, oral and practical assignments such as project reports and seminar presentations. Practical skills will be assessed via the dissertation and oral presentations. Studying first at the University of Amsterdam, Serge obtained his PhD at Utrecht University before joining the Great Ape Trust of Iowa. Following a time at the University of Zurich and the Sumatran Orangutan Conservation Program, Serge joined LJMU in 2012. Two years later he became an Honorary Professor for the conservation of the great apes at the University of Amsterdam. 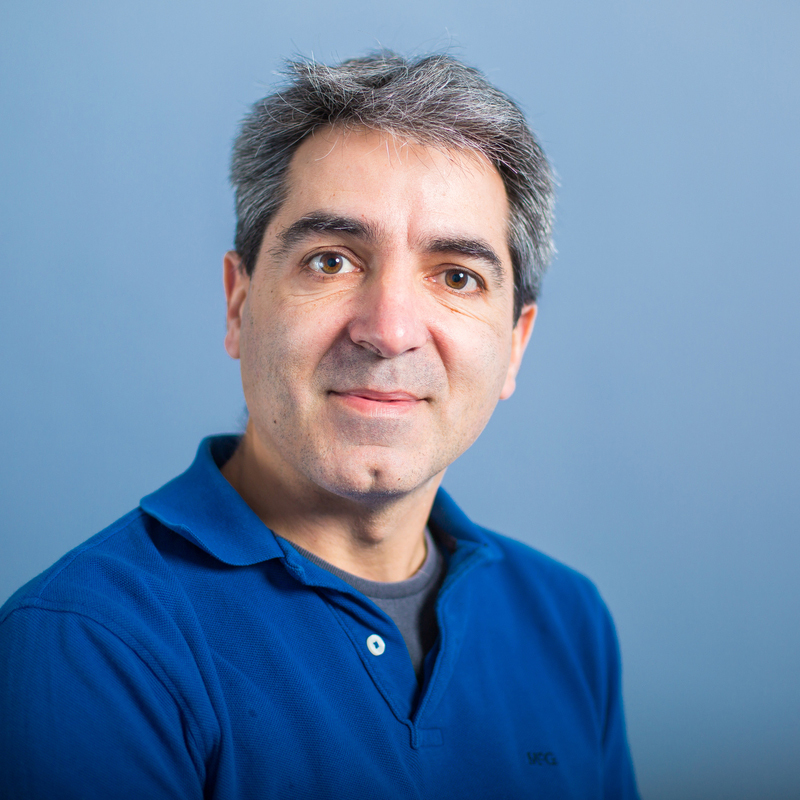 Founding Director of the non-profit, ConservationDrones.org Serge’s research interests focus on: primate behavioural ecology, tropical rain forest ecology and the conservation of primates and their habitats and the use of technology such as drones to study and conserve wildlife. One of the most rewarding aspects of my role is being able to expose students to an emerging technology (UAVs) in order to improve conservation and, at the same time, prepare them well for a career in this field by giving them the ability to learn about such a novel technology. This programme is based in the City Campus. Here you will fins world-class teaching and laboratory facilities (including state-of the art drone, genetics and GIS facilities) which you will be able to use during the course. You will also have 24 hour computer access and access to specialist software. In addition, the LJMU library has an extensive collection of online and hard copy book, journal and internet resources related to studying Wildlife Conservation. To study this programme you must be motivated towards and have a passion for conservation (as evidenced by engagements in local or international conservation activities, nature clubs or campaigns, for example). You must also show that you are independent, creative, can think outside the box, are practical and interested in technology, - such as cameras, recorders and drone technology.